At the heart of the Prairie State (otherwise known as Illinois), Springfield’s charms lie in its history—its retro diners and drive-ins, its only-found-here delicacies, and its Route 66 and Abraham Lincoln landmarks. It’s a place where you can visit a Frank Lloyd Wright masterpiece in the morning, pay homage to an admired American leader in the afternoon, and indulge in some Mother Road nostalgia in the evening. 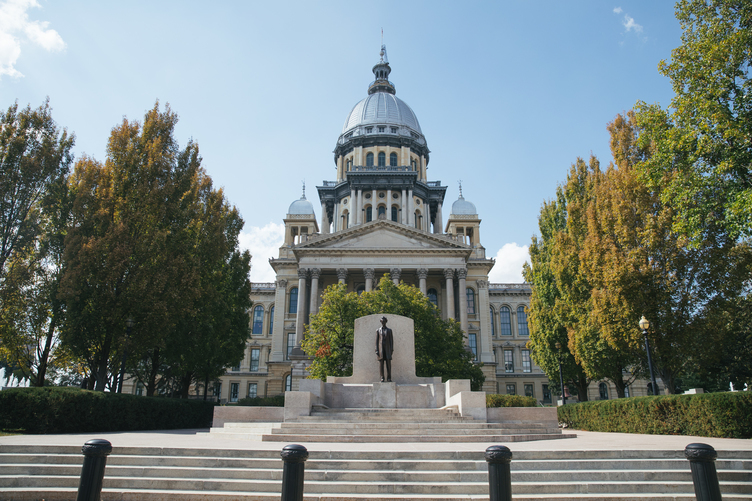 To give you an insider’s look at the capitol of Illinois, we asked the locals what to do when you visit. Here are a few favorites. Take a dive into U.S. history with a visit to the home, the tomb, and the museum dedicated to one of the country’s most important political figures, Abraham Lincoln. Don’t miss the Lincoln Presidential Museum, where there’s a mix of kid-friendly kitsch—wax figures and a reproduction of the White House mixed with some interactive AI exhibits—and substance: living history performances and a 40-minute play about Lincoln’s assassination. Locals say it’s a place “of profound emotion and reverence.” To connect with Lincoln while communing with the great outdoors, head for the Lincoln Memorial Gardens, where you can stroll the trails around Lake Springfield, look for wildlife, and visit the small, but tasteful zoo to see lions, penguins, and bears. Oh my! A sporting goods store, unlike any other, locals, love the employee-owned regional chain Scheel’s for its quirky multi-story setup that has something for everyone, from birders to fishermen, snowshoers to disc golfers, kids to pets. Department after department represents every sport you can imagine—with a selection of related video games in each!—giant overhead saltwater aquariums, an indoor Ferris Wheel, mini bowling lanes, batting cages, an in-store candy shop, airplanes dangling from the ceiling, a café that serves dog treats and other irresistible innovations.